The Ventures are one of the great rock instrumental groups of all time. Formed in the late 1950's by Bob Bogle and Don Wilson in Seattle, Washington, and later joined by Mel Taylor and Nokie Edwards, the group hit it big with the release of Walk-Don't Run. To date, they have released more than 150 albums globally (85 in the U.S.), selling in excess of 85 million copies. Other hits have included Pipeline, Wipeout, Perfidia, Hawaii Five-O, and Telstar. The group is a particular favorite in Japan, having toured there often over the years. 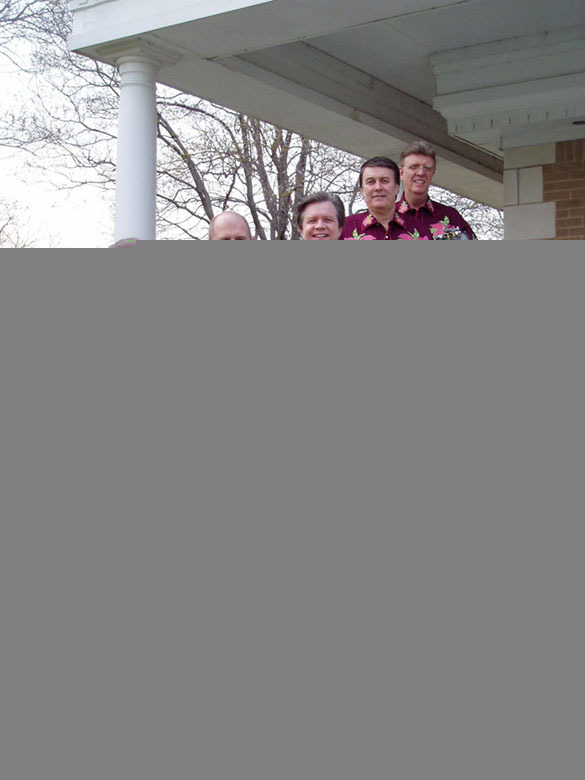 In 2007, Don Wilson, Nokie Edwards, Leon Taylor, Bob Spalding, and Gerry McGee continue to tour and delight audiences worldwide with their unique sound and class act. There are a handful of web sites dedicated to the group, many with complicated discography's and band history. In contrast, my site is simply a few autographs and photos from late 90's tour stops, a fabulous Surfin' To Baja cruise, and 2006-2007 performances. 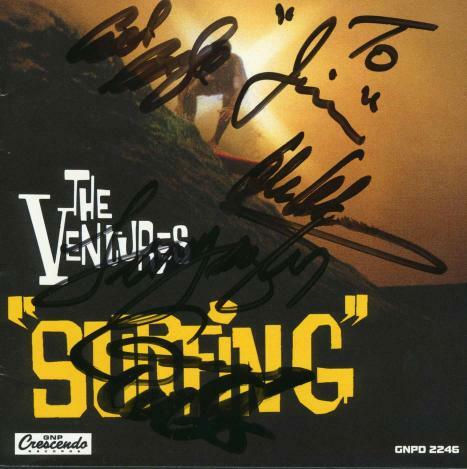 Folks, the Ventures represent many things to many people, be it the surf music of summer, or perhaps simply a fond memory of listening to their music in simpler times, but whatever they represent, they are an American icon so far as pioneering instrumental classic rock. The Ventures Played A Blowout Show Before An Appreciative Audience At The Birchmere, Alexandria, Virginia April 05, 2012! The Birchmere, Alexandria, Virginia January 27, 2010! Check out this heavily viewed video of The Ventures performing Pipeline at The Birchmere, Alexandria Virginia April 27, 2007. The guitar work by Don Wilson, Nokie Edwards, Bob Spalding and guest Jeff 'Skunk' Baxter, along with Leon Wilson on drums is stunning! Tour manager Jack DeFranco went above and beyond the call of duty when it came to ensuring a great show--thanks Jack! This photoset showing The Ventures performing, admiring fans, and after show mingling is not to be missed! 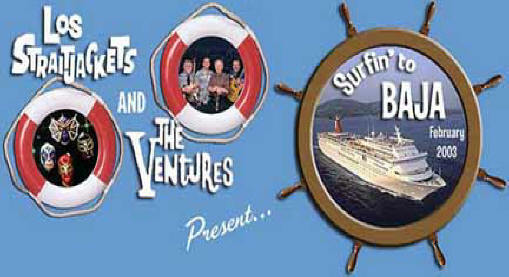 The Classic Ventures The Ventures were a key part of the 1960's surf music explosion. Shown is the "Surfing" CD which was a mid-1990's expanded follow-up to the group's "Surfing" LP. I often play both the CD and Mono vinyl LP release from the 1960's (Dolton BLP-2022 ). Rock And Roll Hall Of Fame NEWS FLASH! Legendary group The Ventures was inducted into the Rock And Roll Hall Of Fame March 10, 2008, at a ceremony in New York City. 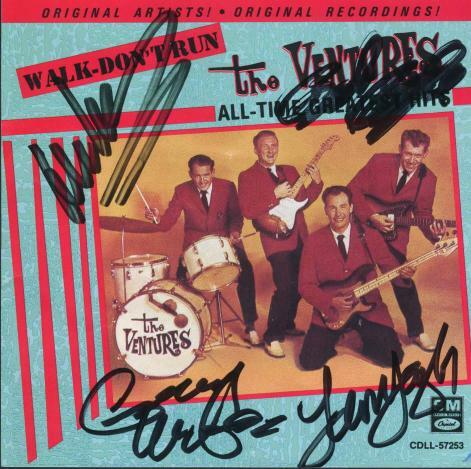 The Ventures' WALK DON'T RUN, single, 1960, rock, Dolton Records, has entered The Grammy Hall of Fame as one of the world's most influential and enduring recordings. Drumstick used by Venture drummer great, Leon Taylor, at their March 7, 1998 Alexandria, VA performance! Bob Bogle, Don Wilson, Gerry McGee, and Leon autographed it. A near mint vinyl 45 of Perfidia and No Trespassing (Dolton No. 28). This is the awesome picture sleeve that goes with the Perfidia 45. I hope to have the group members sign it on my upcoming Surfin' To Baja cruise. The Venture's Spring '99 Tour Set List. CLICK HERE FOR MARCH 15, 2006 Birchmere show photos. A bunch of signed stuff here, including the "Surfing" CD cover; 1998 Ventures publicity shot; and signed photo collage from their greatest hits album (click for enlarged versions). Venture's D'Andrea guitar picks. There is one Bob Bogle and three Don Wilson signature picks shown (both sides shown). Bob and Don autographed them, and I think Gerry may have as well. I had been a fan for some years, but never seen the group live until their 1998 east coast tour. The first stop was DAR Constitution Hall where the group "jammed" with The United States Air Force Band, Singing Sergeants, and Air Force Reserve Pipe Band. A big highlight was when the Ventures' first drummer, General George T. Babbitt, joined the group for their classic, Walk-Don't Run. Check out photos for this once in a lifetime event. Still wanting even more live Ventures, I headed to Annapolis, Maryland, a lovely city on the Chesapeake Bay, and caught the group one more time at The Rams Head. Some guy brought in a surfboard for group signatures, to which band member Bob Bogle commented "we have signed everything" (with tongue-in-cheek emphasis on "everything"). Sure Bob, did this include body autographs on the lovely Wild Again poster model that first graced the cover of Walk Don't Run Vol2 (Dolton BLP-2031)? The Venture's Webmaster (who operates the official Ventures website) did a 2000 mile road trip in March 2002 to catch the Venture's in action at the Midnight At The Oasis car show, Yuma, Arizona. Click the picture or here to see some great photos, and his narrative. At left, is longtime Ventures fan, Art Greenhaw, a Grammy winning performer, producer, writer, and Nokie Edwards. Art and Nokie have collaborated on many releases. 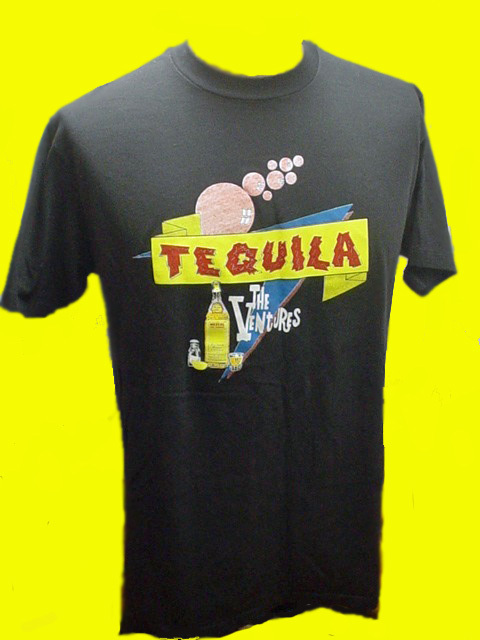 For Ventures merchandise and more links and pictures visit the Ventures official web site. specializing in taking on the awesome task of cataloging The Venture's discography.